Gary Lenz Mechanical & Tyres are a proud family owned business that was originally established by Gary Lenz and his wife Joan in 1991. Shortly after that, their son Kerrin joined the team and started his apprentiship as a motor mechanic following in his fathers footsteps. In 2012 Gary retired and Kerrin and his wife Kelly now own and operate the very busy workshop. 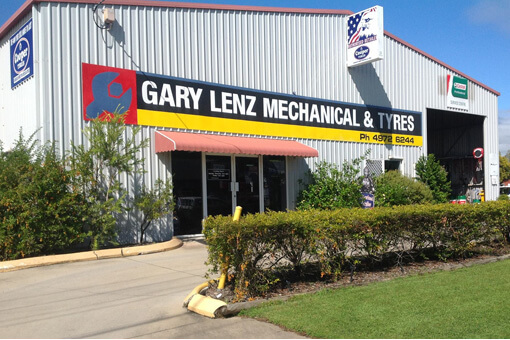 Over the 25 years Gary Lenz Mechanical & Tyres proudly employs locals and supports the local community. At Gary Lenz Mechanical we are committed to providing expertise and value services to all our clients. We strive to deliver the best service possible. Our friendly staff will always assist you with your enquiries.